This was such a simple mani to do... Three coats of the Hare on all but the ring finger to start, no undies. Keeping with the sheer theme, I didn't use a base for my flamingo. I simply painted the body with a hot pink and used a nail art brush to draw a sort of reverse 's' for the head and neck. I then used an off-white to add a flash to the chest and got out the nail art pens to add the beak and eyes. Finished up with a nice lick of topcoat. LUUUUUB! Hahahaha. 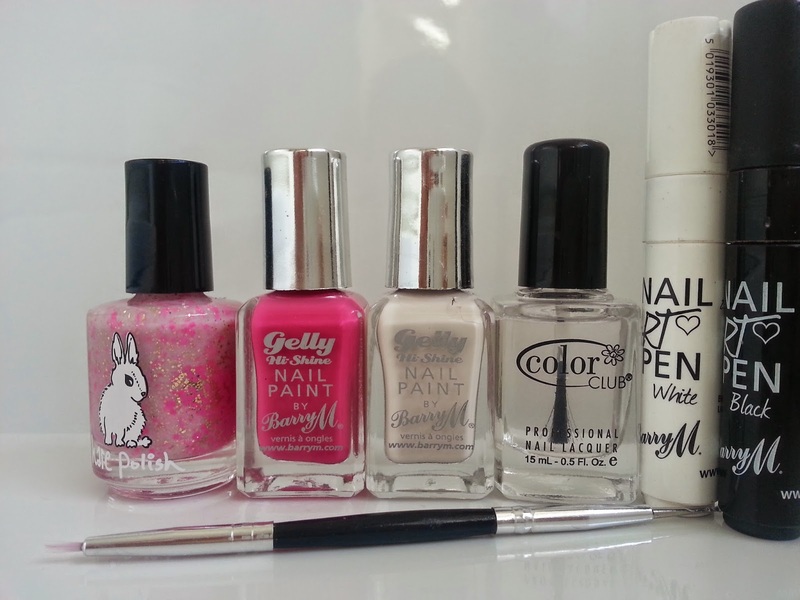 This Hare polish is super pretty and sparkly, and the flamingo didn't turn out too bad either... Take me back to Spain!!! 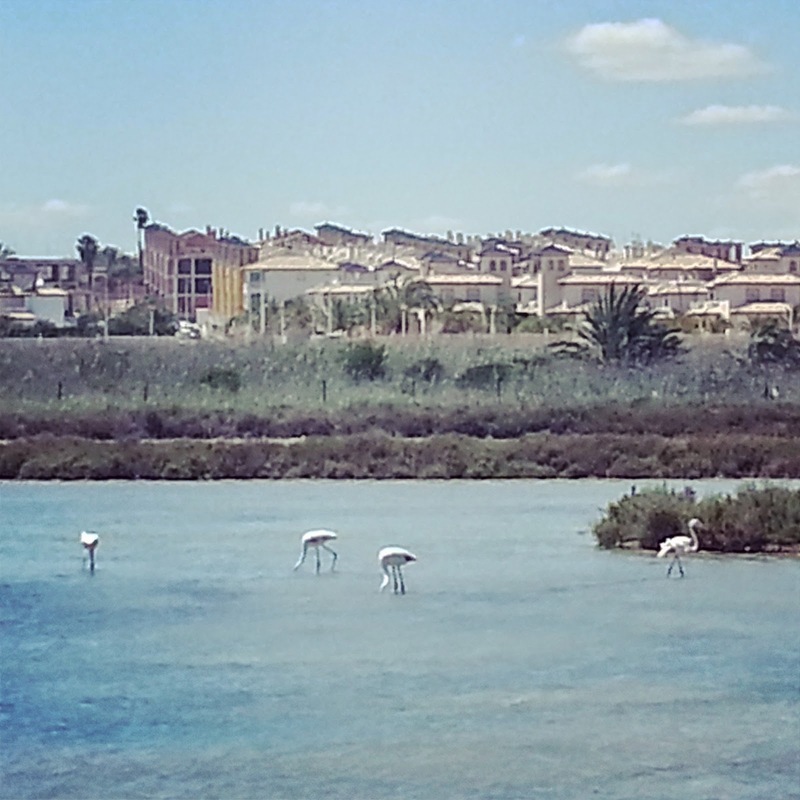 Aaaand here is one of my snap's of the flamingo's in Spain... they weren't very pink until they took off and opened their wings, then WOW, so bright!